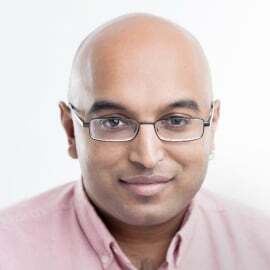 Vikash Mansinghka is a research scientist at MIT, where he leads the Probabilistic Computing Project. Vikash holds S.B. degrees in Mathematics and in Computer Science from MIT, as well as an M.Eng. in Computer Science and a PhD in Computation. He also held graduate fellowships from the National Science Foundation and MIT’s Lincoln Laboratory. His PhD dissertation on natively probabilistic computation won the MIT George M. Sprowls dissertation award in computer science, and his research on the Picture probabilistic programming language won an award at CVPR. He served on DARPA’s Information Science and Technology advisory board from 2010-2012, and currently serves on the editorial boards for the Journal of Machine Learning Research and the journal Statistics and Computation. He was an advisor to Google DeepMind and has co-founded two AI-related startups, one acquired and one currently operational.